Topic: Should we kill all the badgers? Donnelly et al. 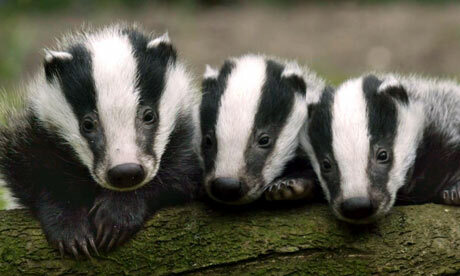 Positive and negative effects of widespread badger culling on tuberculosis in cattle. Nature 2006; 439: 843-846. Over the past two decades the incidence and geographical extent of bovine TB have been increasing in the UK, resulting in the slaughter of increasing numbers of infected cattle and economic consequences for farmers. This has prompted several reviews of bovine TB control measures. Patterns of infection in cattle and badgers are closely associated. Various forms of badger culling have been used in the UK over the last three decades in an attempt to control TB in cattle. The UK Government recently proposed culling more than 70% of badgers in two pilot areas, Gloucestershire and west Somerset. Amid public protests and scientific confusion over the effectiveness of badger culling, these plans have recently been postponed – but not abandoned. This Nature letter attempts to explain discrepancies in the evidence from cluster randomised controlled trials of badger culling with seemingly conflicting conclusions. Join us to discuss cluster randomised controlled trials, how evidence is translated into policy and the fate of our black and white friends. Drinks after! Come to the first ever meeting of the North London TB Journal Club – all welcome! Topic: Is rifapentine all it’s cracked up to be? Sterling et al. Three Months of Rifapentine and Isoniazid for Latent Tuberculosis Infection. N Engl J Med 2011; 365: 2155-66. There’s lots of interest in shorter regimes for treating latent TB. Sterling’s paper in NEJM last December got many people excited – a big study showing better completion and less progression to active disease with weekly rifapentine-isoniazid than with 9 months of daily isoniazid. Should we change our practice? Does it matter that treatment support differed in the two arms of the study? Should they have attempted blinding? Could you take 15 or 16 tablets in one go!? Join us to discuss the study and broader issues around the treatment of latent TB infection. The paper is available here – Sterling et al, 2011.